President Rivlin clarified yesterday's statements, saying he favors maintaining status quo and giving expression to every community's needs. President Rivlin issued a clarification Thursday morning in the wake of his controversial statements yesterday about the need to solve conflicts on issues of religion and state. 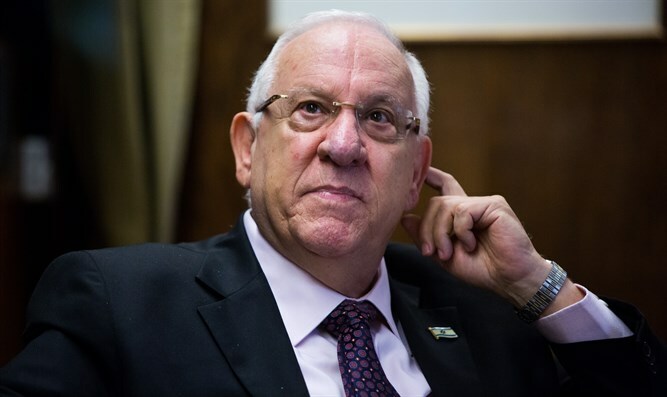 From Rivlin's words yesterday, it seemed that he was supporting a new appraisal of the status quo in Israel regarding religious matters, including the issue of public transport. His words aroused a furor in Orthodox religious circles. This morning Rivlin stated that "In my words yesterday I wished to express my genuine concern over the serious conflicts on issues of religion and state. I intended to spread peace but unfortunately tension increased and for that I apologize and am deeply upset." He said "I said in the past and say again, more than Israel has maintained the status quo, the status quo has guarded Israel. I believe that, at the national level we should not break the status quo, which is a fundamental aspect of our national identity. This is especially true regarding the importance of the Shabbat in preserving Israel as a Jewish state." "The Jewish public arena which centers around the Shabbat has preserved the Jewish character of the State of Israel and the unity between the different parts of the nation. In my words yesterday, I said clear things about the religious nature of the State of Israel and about the fact that it cannot separate the religion and faith which have preserved us over the generations from our lives today. Rivlin stated that he intended with his words to solve conflicts on these issues, "I wanted to ask how we can solve the difficult disputes between us and lower tensions among us, out of a genuine concern for the resilience of Israeli society and the State of Israel. I said that, in future discussions, we should consider attaining through agreements and conciliation a status quo which will give expression and respect to people's different ways of life. Already today the State of Israel demonstrates respect and considerable support for the needs of diverse communities and we are proud of this." These last sentences, according to religious MKs, implied a desire for change in the longstanding laws governing the place of religion in the Jewish state to align them with non-Orthodox movements. The president stressed that he supported closing streets in religious neighborhoods on Shabbat and did not advocate coercion to force haredi communities to study secular subjects. He claimed that he simply said that, as a state which respects the needs of every community, it behooves us to find a modus vivendi which will enable every community to give expression to its way of life. Rivlin concluded by apologizing for the way his words had been phrased, "I am sorry that my words were not phrased with enough sensitivity and clarity and pray that we will merit to spread love and peace among us."